Stephen King novels are what made me fall in love with reading as an adult. I’ve always been a fan of the horror and macabre, I can distinctly remember an early nightmare involving my ballet class and Dracula when I must have been seven. My dad is also a fan of horror, and never had the strongest respect for age ratings. If he’d watched something and deemed it appropriate, we were then permitted to watch it. Species and Poltergeist were in no way appropriate at the time for my ten year old sister or eight year old brother, but they weren’t permanently scarred. The first Stephen King book I can remember getting my hands on was Carrie, and I scoured charity shops for that thing for months. Sadly it went over my head, at twelve the change of media in the narrative ruined the progression of the story, which is funny as I now have a new respect and love for the novel. I think the next King novel I found was The Shining which cemented my love of King. If I find a King fan I honestly get so enthusiastic and over excited. Sadly though, I haven’t opted for King novels recently. I’ve leaned more towards romance, drama or fantasy novels. The last King Novel I read was Cujo which I devoured, I couldn’t put it down, it reminded me why I fell in love with Stephen King novels. There are few other novels that I become so completely obsessed with. So I’m setting myself a reading challenge of a Stephen King Novel a month, for the next year. This will be alongside the Book Club monthly read, I’m pretty certain I can do two novels a month. All but one, these have all been grabbed from charity shops, I’m attempting to control my spending and this was an easy way. I will also be re donating any I don’t fall massively in love with. I have already read 1 and 3 and started reading 8 around six years ago and kept getting distracted. I’ve left half of this list free (I had, now I only have one free space!) to enable me to find a King novel I really want to read. I’m tempted by Dolores Cailborne, Different Seasons (Where Shawshank Redemption is found as a short story) and am considering allowing myself a cheat book with Joe Hill (king’s son)’s Horns. Either way expect more book reviews! Do you have a favourite author who’s back catalogue you would like to make your way through? Do you have any Stephen King Recommendations? As you may have remembered reading one of my new resolutions was to spend a little less on my skincare products, since they all pretty much do the same thing. Not only that but since I’ve been drinking more water and less diet coke (another one of my resolutions go me) my skin has almost completely cleared up. I still get the occasional spot but other than that it’s like freaking baby’s bum on my face. So I recently went out to do a little budget skincare shopping to find alternatives to my more expensive stuff and I have found some absolute gems, that I am here to share with you. 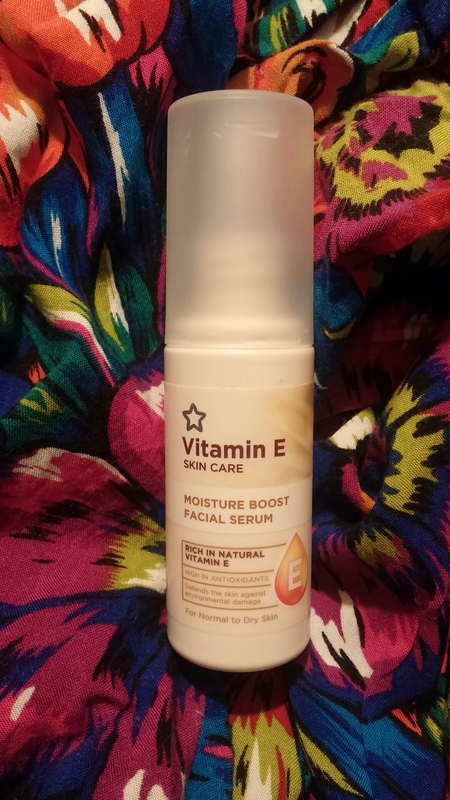 I have been a worshipper of The Body Shop Vitamin E range since I used to steal my mum’s moisturiser. But who knew Superdrug did there own version (probably everyone but me) that is just as good. 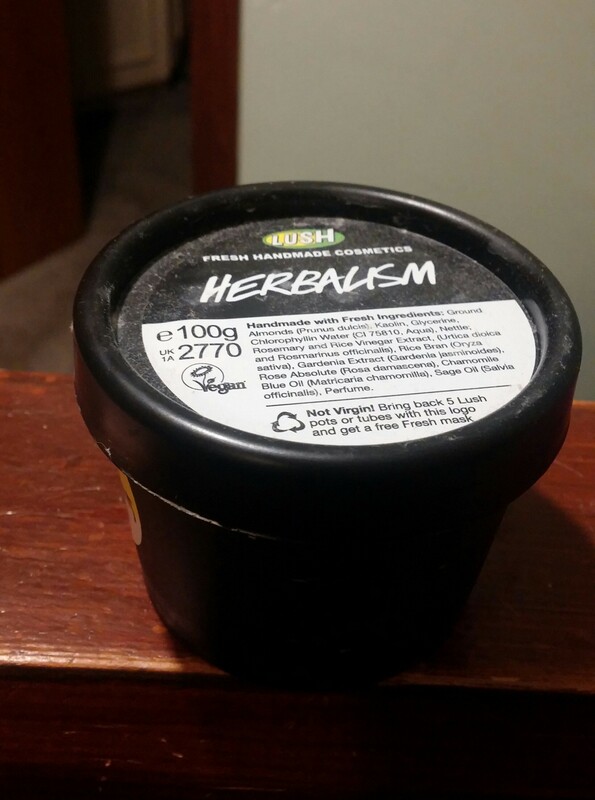 I got this to replace The Body Shop intense moisturiser and it is just as good I can tell no difference and for so much less money…fab. Now I’ll be honest, I picked his up on a 3 for 2 sale at Boot not knowing how I would use it. 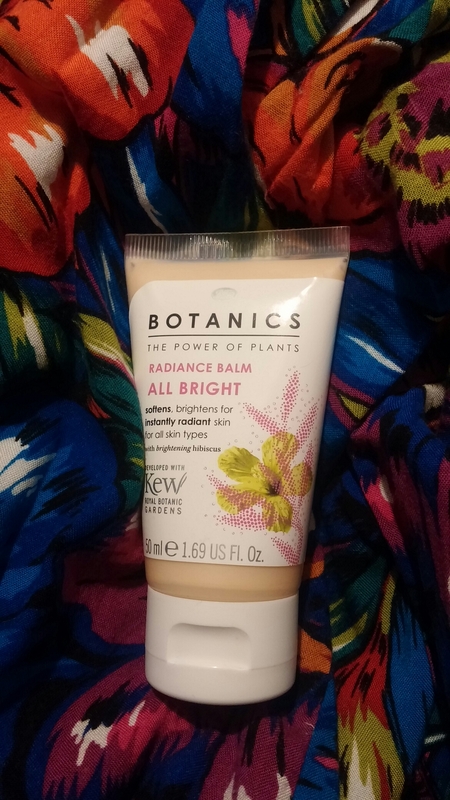 But as soon as I put it on my face I realised it’s an amazing primer and leaves my skin feeling the same as if I have used the Benefit Porefessional. This I have used before as I saw it mentioned by Lisa Eldridge I believe years ago. 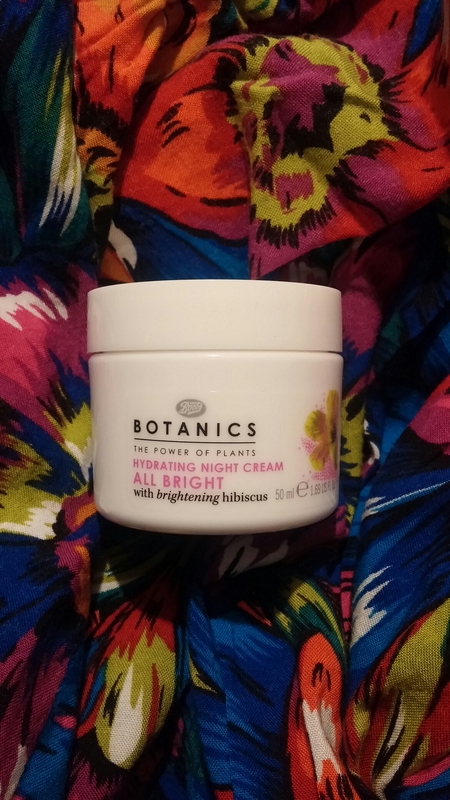 As a hydrating night cream it really does the job, gives my skin a nice drink over night and doesn’t leave my purse thirsty. This was an absolute revelation to me. I have used The Body Shop moisture serum for a few years now and thought I’d never be able to find a cheaper alternative, but I did. 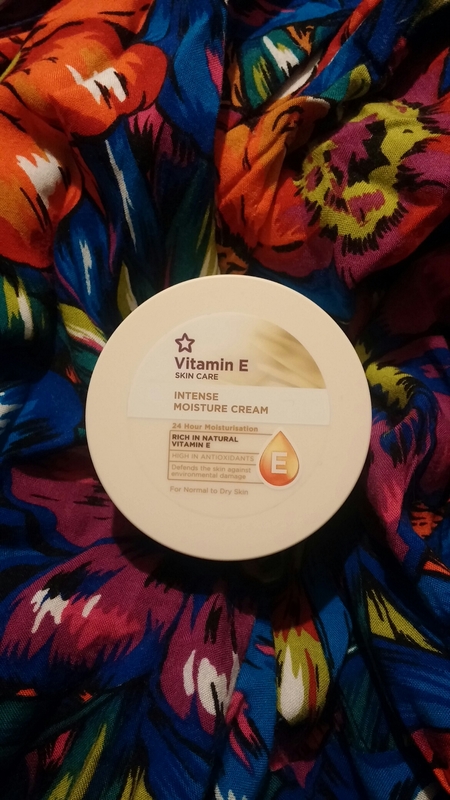 The Superdrug version leaves my skin feeling beautifully hydrated, yes it smells a little of suncream but that’s the only real difference. I will be buying for this year’s to come I can already see it. So that’s my picks of my favourite budget skincare, let me know if there’s anything else I need to trying. January is a funny month, its cold and wet and comes directly after the incredibly exciting Christmas, it is the antithesis to December. Where before you we’re socialising, eating, buying and exchanging presenting, seeing friends and family you haven’t for months and just relaxing your now back to your daily slog. Everyone seems to be on a diet, and January often warrants the need to be more Frugal. Below are a few of my tips and tricks for making January better, do you do any of these or have any tips you could pass along? I seem to accumulate a lot of clothes, which is a bit silly as my professional and casual style are quite similar. Aside from when I’m on a dog walk, the biggest change will be wearing jeans in place of my smart trousers. I pulled everything out of my wardrobe and anything I was meh about got moved to the donate pile. Anything that didn’t fit was gone, and anything I didn’t often wear was also gone. I did the same thing with shoes, I threw out a couple pairs of boots which were poorly made and disintegrated in the rain, and a pair of heeled boots I never wear went to the charity shop. I need to do this with my entire shoe collection. Also my handbags. This de-cluttering though made it a lot easier to see what I owned, what I wore often and what I’d neglected. I feel like I’m getting a bit more wear out of what I own. Its also a huge de stesser, I now own less stuff. Its easier to stay tidy and organised, and it makes me feel happier not having that messy corner or draw hanging over my head. I have a tendency to either leave things to the last minute, or plan with tedious detail. The last two camping trips I organised for instance, had day-by-day itineraries and activity ideas. However, I digress. I’ve been using my weekends to pull together and plan my weeks outfits. Baring in mind it takes almost an hour to get to and from my 9-5 job, and I’m not good at leaving by 5, this is a huge time saver. I also make my meals and snacks the day before. I’m a fussy eater and choosing a meal deal everyday eats into both my lunch break and bank balance . By planning my lunch I endure I eat something I like every day, and my mornings are a bit easier. I also use Sundays for planning outfits, sometimes I’ll theme it (clearly I was on a dress kick the week above), and others I’ll just chose my favourites. I’ll plan my outfits alongside my schedule, If I’m going to be arranging a room its a trousers and breton stripe top outfit, If my department are hosting visitors I’ll wear a smart dress. 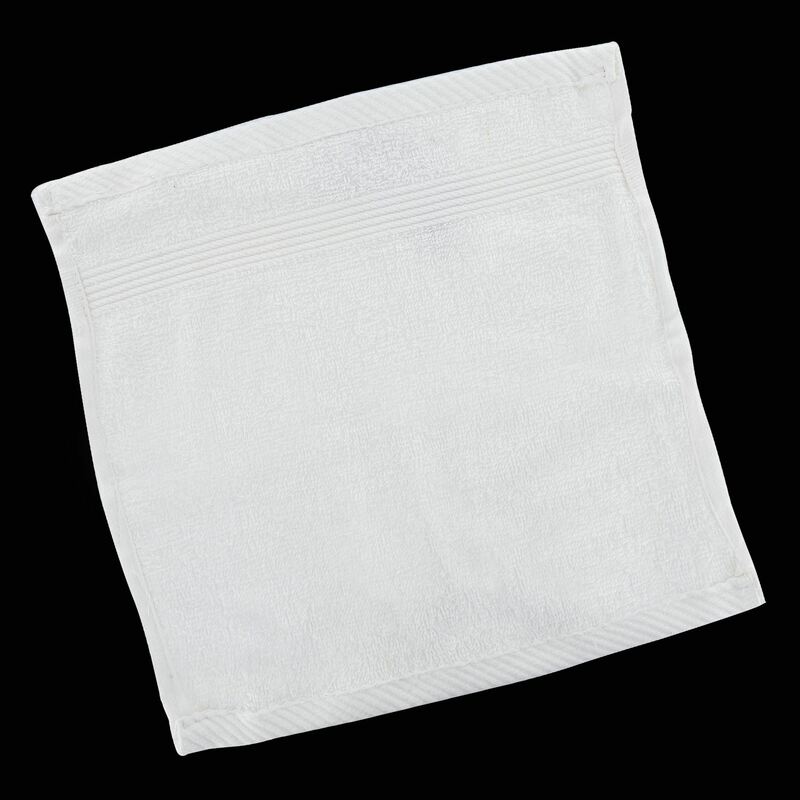 This easily saves me time, either for more sleep in the morning or to play about with make up. I get annoyed and distracted easily. I also find other people’s discussions or impromptu desk side meetings very difficult to block out, so I often have my headphones in. I create Playlists for the gym or the rare occasion I actually run, and having one for these moments at work helps. I have a Playlist of my new favourite songs, and some old classics, as well as an angry rock one and I flit between these. (I also have a Disney and musicals playlists but those are for moments of whimsy). Sometimes work can get you down, and to prevent this I plan fun things into my schedule. I’ll arrange lunches or times to meet for coffee with friends, effectively breaking up the work day, or giving you something to look forward to at the end of it. People get busy, and everyone’s time poor but by grabbing a coffee with a friend once a week you get to spend time with someone you love and make your day that much more special. One of my favourite people to meet after work is my sister, we can be weird and giggly and then we catch the same bus home! Use the time you have for yourself to do something you love, or achieve a goal. For me right not that’s getting my driving licence, so I’m making time for an early morning lesson at weekends. Another thing I’m making time for is de-cluttering. I accumulate stuff, and I’m very untidy. So putting an hour aside each weekend to tidy up and potentially reduce the amount of stuff I own helps me reset. You don’t need to do something every weekend that you can brag about in the office on Monday, for me cuddling up watching a DVD or taking the dogs out helps to add value to my weekend. Valuing those moments helps me feel like I’ve really used my time. January is still an awesome month though, for every wet day there’s a crisp evening walk. You might not be able to sunbathe, but the long nights are the perfect excuse to snuggle up with a Hot Chocolate and a boxset. What I’m Watching: The West Wing. Let’s start with I love Netflix. And after discovering how to get onto the American Netflix I love it even more. I’ve always been aware of The West Wing as a prestigious show from the amazing mind of Aaron Sorkin (basically a writing God). I’d been umming and arrring as to whether to watch and it had taken a back seat to some other greats (Breaking Bad, Sons of Anarchy etc) but eventually my curiosity won out and I am so happy it did. Set in the West Wing of the White House (where the President works) and centred around the his staff. After powering through the first breathtaking season I have completely fallen in love with the characters and the fast, quippy pace that comes with Aaron Sorkin projects. 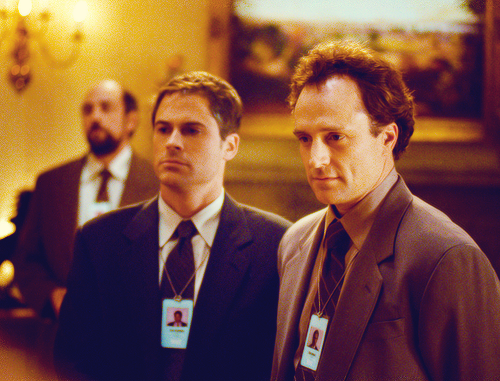 The above picture is of my boys Sam Seaborn (right) played by Rob Lowe and Josh Lyman (left) played by Bradley Whitford. These two have taken a firm grasp of my heart and if you watch The West Wing you will soon find out why. As well as these two beauties there are some absolutely captivating strong and well rounded female characters. From C.J. Cregg the press secretary played by Allison Janney to the First Lady played by Stockard Channing these women are beyond interesting and compelling and a thrill to watch. 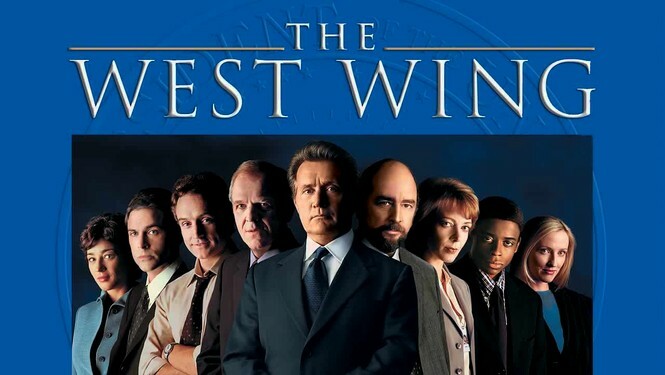 Let me know if you’ve ever watched The West Wing or if you have any suggestion on what to watch next. I wanted to introduce you to my favourite perfume, Jo Malone Wild Bluebell Cologne. After seeing so many other beauty bloggers and youtubers wax lyrical about Jo Malone I decided I wanted to investigate the brand, and on my trip to Cardiff I popped into a store. I spoke to a one of the assistants who guided me through a few of the more popular scents, and I applied some Peony and Blush and left the store to see how long the scent would last. Im also a bit of a perfume snob, I opt for an eau de parfum over an eau de toilette as I feel the scent is stronger and lasts longer, and in this case the Jo Malone Cologne lasted for ages! On my second to last trip to London, I made time for a visit to Covent Garden, and of course the Jo Malone store. Though feeling very fond of Peony and Blush the main thing I was looking for was a light and uncomplicated scent, the first recommendation was Wild Bluebell, and after testing a couple of other scents I knew I was onto a winner. I suffer from migraines and headaches, and they are both strongly triggered by scent. This has stopped me from wearing perfume of late. When I explained this to the assistant in Jo Malone she was incredibly helpful and understanding. The stores operate in a very relaxed non sales focused manner, and I was offered the opportunity to book in for a hand massage at a later date, something not so applicable being based this far away. After taking a few of my details, the perfume was boxed up beautifully with a ribbon, and placed in a larger bag with a few samples which I saved for my later trips away and made them extra special. Orange Blossom has been quietly tempting me since I finished the body lotion sample. If you have yet to experience Jo Malone I cannot recommend visiting a store enough, it’s a wonderful experience. On the day I’d visited the store a careless person had managed to pour the entirely of their fresh cup of coffee down my back in a cafe, so I was definitely in need of a pick me up. Crying in public is embarrassing enough, especially when everyone pretends nothings happened! I have had so many compliments on this scent, and it puts a smile on my face every time I catch it. I tend to spritz it on my collar bone, behind my ears and on the ends of my hair. The hair is a special trick, every time I flick my hair I can smell it, and hair manages to hold a scent really well! I’ve also leant it to my sister, mum and my partners mum and it smells just as perfect on all of them. Next time your in Jo Malone give this beautifully simple and uncomplicated scent a try. I’ve had it since late September and would say I’ve used around a third of it!